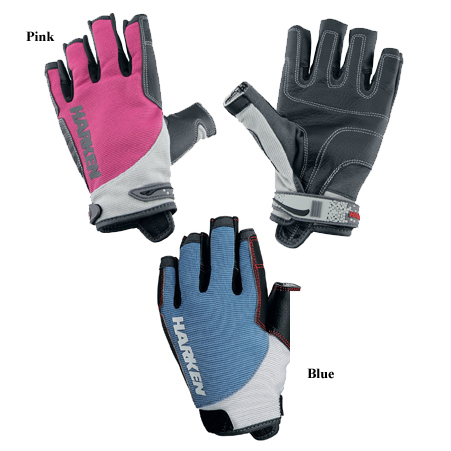 Harken Spectrum Gloves are hard to miss in vibrant blue, pink, and high-visibility green styles. Designed for active line handling, these low-profile, low-bulk gloves are lightweight and they minimize hand fatigue. Black Magic® palm material and finger wraps provide the highest level of abrasion resistance and durability. Soft mesh vents at the base of the fingers provide a cool, custom fit.